The Spirit of St. Louis Flies Again! replica is making a rare appearance during the weekend of the Lindbergh Foundation’s 2009 Lindbergh Award Celebration on May 15, 16 and 17 at the EAA AirVenture Pioneer Airport (or Weeks Hangar), exclusively for the winners of the Lindbergh Foundation’s online auction. The bidding process kicked off during a press conference on April 22 at Sun ‘n Fun 2009. The original Spirit of St. Louis hangs in the Smithsonian Institution’s National Air and Space Museum. 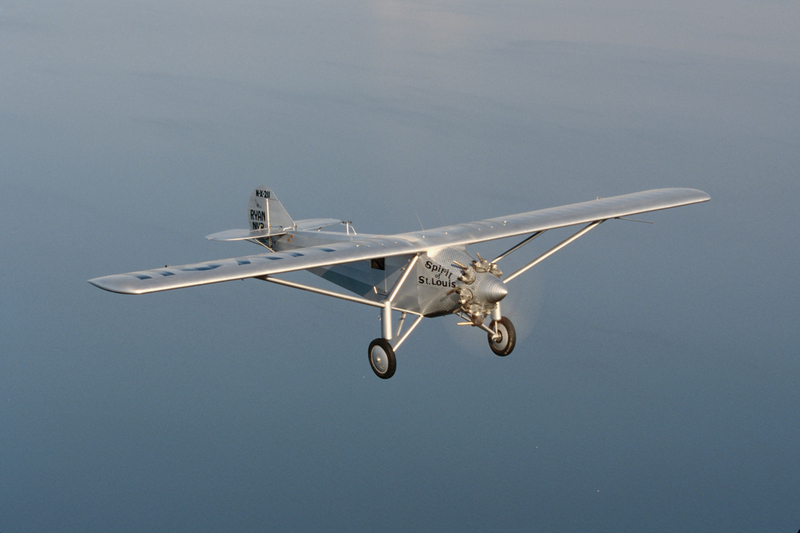 Very few flying Spirit replicas exist, and the EAA replica is the only one in the world capable of taking a passenger. The EAA built their Spirit of St. Louis replica from scratch with painstaking detail, using the “Morrow” plans from the Smithsonian Institution. However, in this unique replica the EAA customized the airplane by installing a forward pilot station in place of Lindbergh’s large fuel tank. This means the EAA pilot commands the aircraft from up front so the lucky passenger can experience flight in the aircraft from the actual “Lindbergh seat” position, providing a view that is exactly the way Lindbergh himself would have seen it. Pilots will enjoy logging “stick time” in this historic time machine through the fully functioning dual flight controls. This Spirit replica will not make another public appearance until 2011. For complete details and bidding instructions, visit the Lindbergh Foundation’s Web site at: [http://www.lindberghfoundation.org]. The Lindbergh Foundation is a public 501(c)(3) nonprofit organization based in Anoka, Minn., which supports great innovations that foster the environment for a planet in balance. The Lindbergh Foundation also values individual initiative and accomplishments. Its programs are devoted to supporting, honoring and educating individuals through three major programs: the annual honorary Lindbergh Award, presented to individuals for significant contributions toward balancing nature and scientific innovation in their work; the Lindbergh Grants program, which provides grants in amounts up to $10,580 (the cost of building the Spirit of St. Louis in 1927) for research or education projects that will make important contributions to the technology/environment balance; and a variety of educational events and publications centered on the “balance” theme.